4.6 out of 5 based on 18 bloggers and 3 commenters. 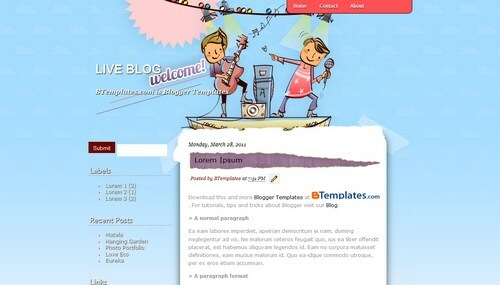 Live Blog is a free blogger template adapted from WordPress with 2 columns, left sidebar and rounded corners. I tried to download this template (Live Blog)and I got an error code for corrupted files?